Red roses clamber about a window on an old Cape house. This watercolor print was inspired by a scene on the coast of Maine. 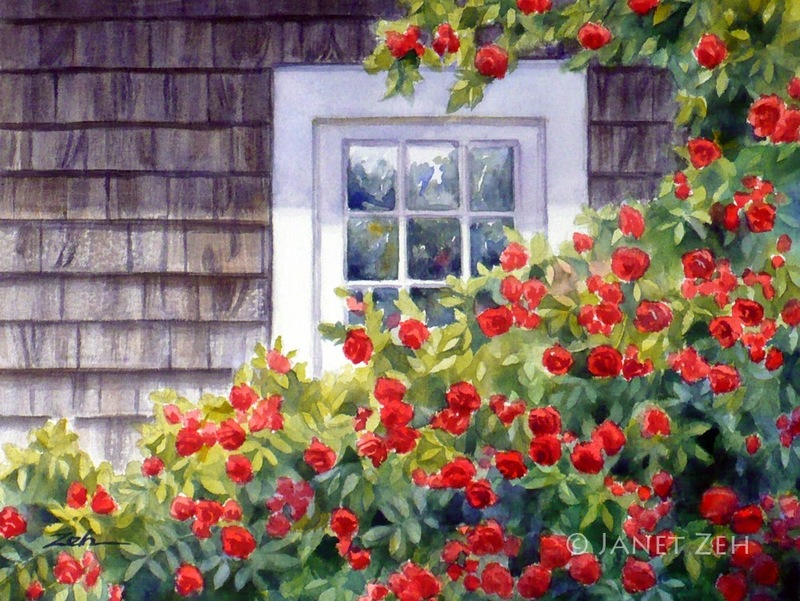 'Roses at the Window' Print comes in several sizes and print options such as framed or canvas. Click the Order Print button below to see sizes, options and prices.